I do hope they don't just bulldoze the back of the park all at once like some suggested. I'm going next June, first time in 14 years, and I'd like to experience Muppetvision 3D one more time. The rest of the back of the park I don't care about. There's not much to do back there as it is. I can't believe they still have the Honey I Shrunk The Kids play area. I mean, the movie hasn't even been released to blu-ray yet, so Disney obviously thinks it doesn't have much value. If anything retheme it to A Bug's Life. I kind of wish they'd make the whole back area a Pixar area and if they want more Star Wars, make a whole new park for it. Disney definitely has the room for it. A few things here, first, its much cheaper to blow out the back, then to try and wiggle new stuff around existing stuff...when the existing stuff will possibly ALSO be going. But as of right now, Muppets will live on at DCA! 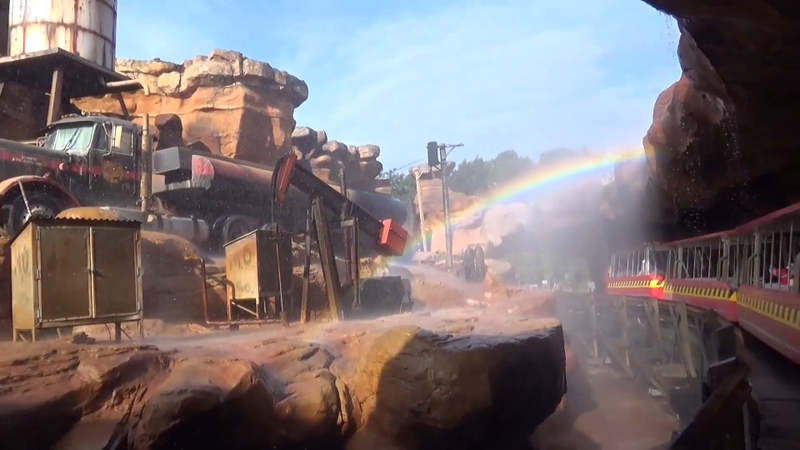 But more importantly, I seriously doubt WDW will ever get a 5th theme park; just my opinion. But as it is, they only have 2 full day parks. They don't need another park that wont keep people there all day. Also, I know people that spend thousands and thousands of dollars to spend 7-10 days at WDW as it is because they already have 4 parks and 2 water parks! I'm not even sure the guests could even handle another park financially, it would overwhelm people! It'd cost them too much. That's not to say I don't want or wish there was a fully realized Star Wars Land or whole park, I just don't think the 5th Gate will ever happen at WDW. Oh, I'm actually pretty sure it will. Most thought they were done adding parks with DIsney/MGM, but then about ten years later we got Animal Kingdom. I think a new park could come, just not any time soon. Of course, I do think they should fix up the parks they have first. Magic Kingdom is almost perfect, but Epcot needs more stuff in World Showcase for families to do together (unless they want to watch dad get more and more drunk as he drinks around the world). They are fixing this with the Frozen redo, but they need more. Hollywood Studios looks like it's becoming a mini-California Adventure for the east coast, which is alright, I guess. And Animal Kingdom should be much better after Avatar area opens in a few years. By the way, which park gets the least attendance there? I'm sure it's either Animal Kingdom or DHS, but just was curious. "Here is the global Top 10, with 2013 attendance in millions and change from the previous year's revised number:"
COASTER FREAK 11 wrote: "Here is the global Top 10, with 2013 attendance in millions and change from the previous year's revised number:"
That is a steep increase with the Tokyo parks. ^Yes, it is. But also keep in mind Tokyo is still recovering from the earthquake that happened in 2011. Go behind the scenes to see how special effects in movies are made during this exciting pyrotechnic show and tram tour. Please Note: The final day for this attraction will be September 27, 2014. 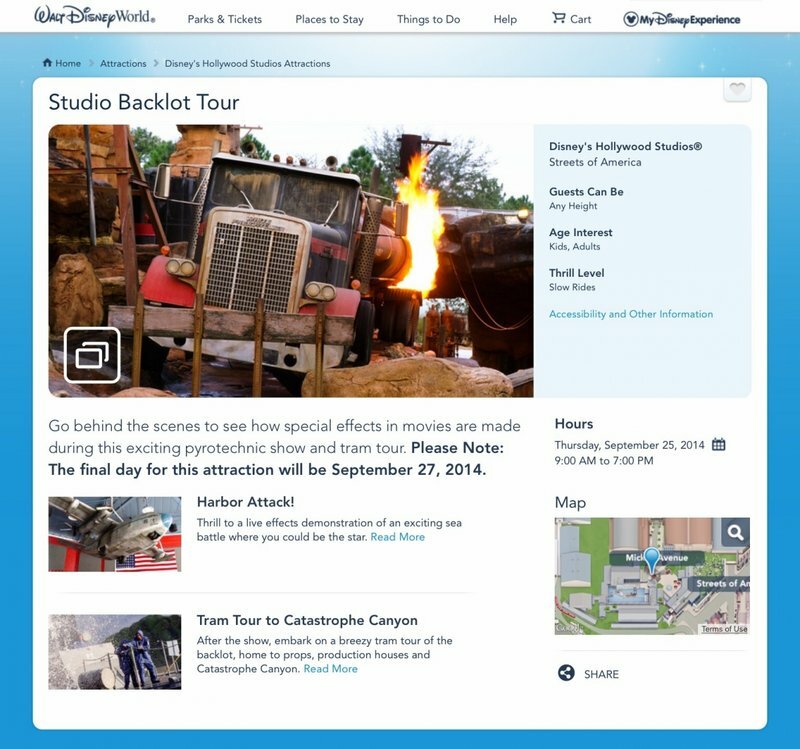 The closure of the Studio Backlot Tour after September 27th, 2014 has been officially confirmed. Last edited by jedimaster1227 on Thu Sep 25, 2014 7:26 am. ^Last call for the Catastrophe Canyon Express! All aboard! Wow, that tram is extremely empty. I knew it. The gays did this.